RTEI aims to ensure that all people, no matter where they live, can enjoy their right to a quality education. And the way we strive to accomplish such a goal is the perfect example of how data can be used to influence global education. On July 18, 2018, USAID released a draft of the new U.S. Government Strategy on International Basic Education and opened up a window for feedback from the public. Global Campaign for Education-US (GCE-US) and our coalition partners collaborated to propose recommendations for the U.S. Government International Education Strategy, which outlines plans for the implementation of the READ Act. Global Campaign for Education-US applauds USAID and all government agencies involved in the development of the whole of government education strategy. In particular, we applaud the focus on inclusion, specifically for children with disabilities, girls and marginalized groups, the references to alignment and coordination with multilateral partners, the focus on education in conflict and crisis settings, the inclusion of early childhood education, and the commitment to data and reporting. GCE-US has outlined key points from the U.S. Government Strategy on International Basic Education and incorporated our topline recommendations for the whole of U.S. Government Strategy on International Basic Education. Please view a full summary of GCE-US recommendations here. Today’s youth need skills in innovation, cross-cultural collaboration, and STEM (science, technology, engineering, and math). The World Smarts STEM Challenge pairs high school teachers and students from different countries on gender-balanced, collaborative teams. 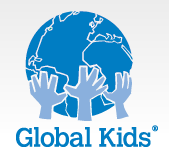 Global Kids, Inc. (GK) develops youth leaders for the global stage through dynamic global education and leadership development programs. Our mission is to inspire underserved youth to achieve academic excellence, self-actualization, and global competence and to empower them to take action on critical issues facing their communities and our world.